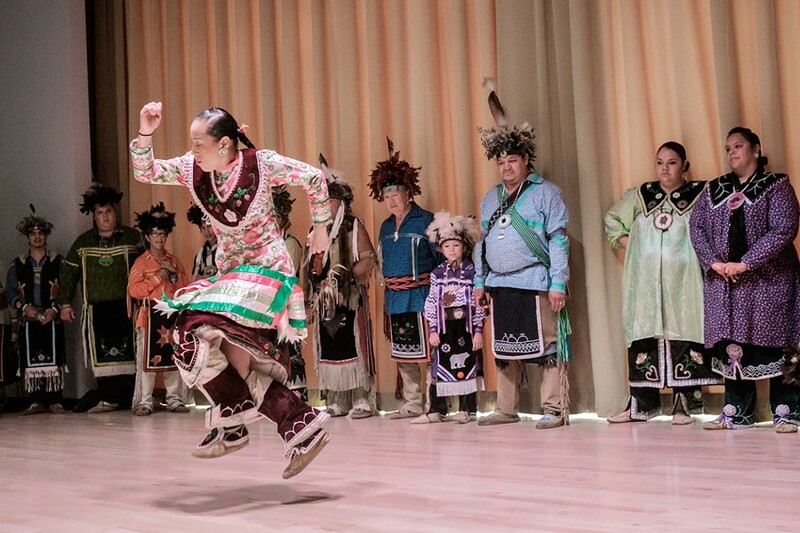 Friends of Ganondagan will this week present the annual Native American Winter Arts Festival, featuring goods made by local artisans, hourly raffles, storytelling, food tastings, and traditional Iroquois Social Dancing by the Allegany River Indian Dancers (pictured). Food samples will include Iroquois White Corn, which is part of a larger project to return the heirloom Haudenosaunee staple to Native Americans and the community at large. The Native American Winter Arts Festival will happen at the Seneca Art & Culture Center at Ganondagan, 7000 County Road 41 in Victor, on Saturday, December 8, from 10 a.m. to 4 p.m. Free. 742-1690; ganondagan.org/WinterArtsFestival.